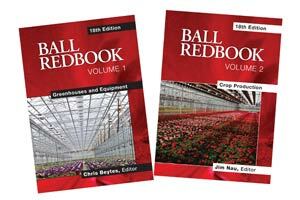 But his best-known work and legacy is the “Ball RedBook.” First published in 1932, the Ball RedBook is considered to be the “bible” for the greenhouse industry. It’s loaded with detailed production information for annuals, perennials, cut flowers and other floriculture crops, plus in-depth chapters on greenhouses and growing technology. Now in its 18th edition, it has grown so big that we divided it into two volumes. In Volume I, we’ve updated every section on greenhouses and equipment and added critical new sections on alternative energy, lean flow and sustainability. And Jim Nau, editor of Volume II, has also added a sustainable growing chapter, updated every crop to the latest culture and varieties, and added more than 50 new ones (especially perennials). 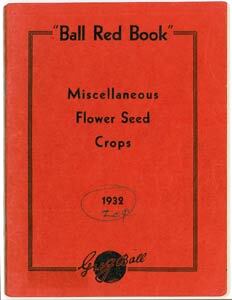 The Ball RedBook has sold hundreds of thousand of copies around the world. Visit a greenhouse on any continent and chances are you can find a well-worn copy of the RedBook. Order your copies through Independent Publishers Group. Both volumes are available as hardcover books or as an ePub for your eReader.